From playing acoustic sets in bars to recording an album, Th3rd Coast Roots has gained incredible momentum from the moment they connected. Lead vocalist/guitarist Jayton Lening never imagined that he, who started out acoustic at local bars, would lead to creating a roots rock reggae band with unstoppable energy. When Jayton decided to dedicate more time to his music, he reached out to his friends Liam Haney (bassist) and Hunter Wilson (drummer) to form the foundation of the band. The band’s vocals soared to a new level when soul-touching Marisa Garcia was introduced by Hunter. There is no denying Jayton and Marisa’s ability to reach listeners with their captivating vocals and unique style. The group quickly learned original songs written by Jayton and after a few weeks of practice, they played their first show as Th3rd Coast Roots. Marisa experienced a life-altering event last year when she was hit by an intoxicated driver on a major highway in Houston. After multiple surgeries, months of rehabilitation and ultimately fighting like a warrior, Marisa has adapted and regained more mobility than surgeons anticipated. This tragic event has strengthened the band’s mental fortitude and their appreciation for the time they spend pursuing their dream. After receiving such a positive response from the community, their drive to continue their musical journey shifted into high gear. The band instantly recognized that their crowd size and social media following began to flourish into a strong support system. 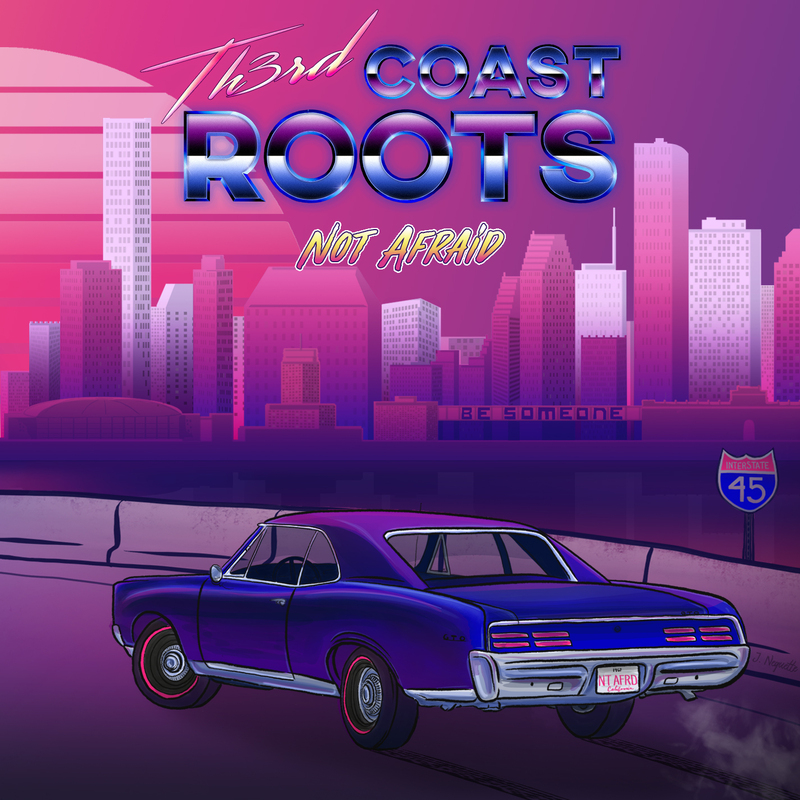 Three months after their first show, Th3rd Coast Roots flew to San Diego's Imperial Sound Studios to record their first album with producer E.N Young. Their good friend Brad Berkefelt from Proof Of Life learned their music in two days and joined them in San Diego to track keys. They describe working with E.N as a blessing and an opportunity of a lifetime. They spent four (eight-hour) days in the studio recording nine tracks for their masterpiece album, Not Afraid. The title track comes first on the ablum and showcases each musician’s remarkable talent, even including a feature by E.N Young. Once the album was completed, Th3rd Coast Roots realized how truly blessed they were to have crossed paths and share the same level of commitment to their music. Since their album release, the support from fans comes from every corner of the United States, as well as other countries such as the U.K., Germany, Brazil and the Philippines. As their presence dominates in their hometown city of Houston, they seize every opportunity to provide support for reggae bands touring through Texas. They have shared the stage with The Green, Tribal Seeds, The Movement, Pacific Dub, Dirty Heads, Sun Dried Vibes, Bumpin Uglies, Resinated, Tatanka and Iya Terra. Current shows booked will be supporting Proof of Life, Resinated, Roots of a Rebellion, Badfish and The Wailers. While they currently work full-time jobs, the band members are quickly starting to play music full-time. They have a new single coming out in the near future titled “Lovers Rock”, so keep your eyes peeled for that and others to be released this year! Th3rd Coast Roots would like to give a special thanks to their friends, family and fans for providing an incredible amount of support since Day One. Also, a huge shout out to Ben Brinkley with Iya Terra and the Ineffable Music fam; they’ve helped shine the light on this journey and the band cannot thank them enough! Check out Th3rd Coast Roots music and more via the links below.